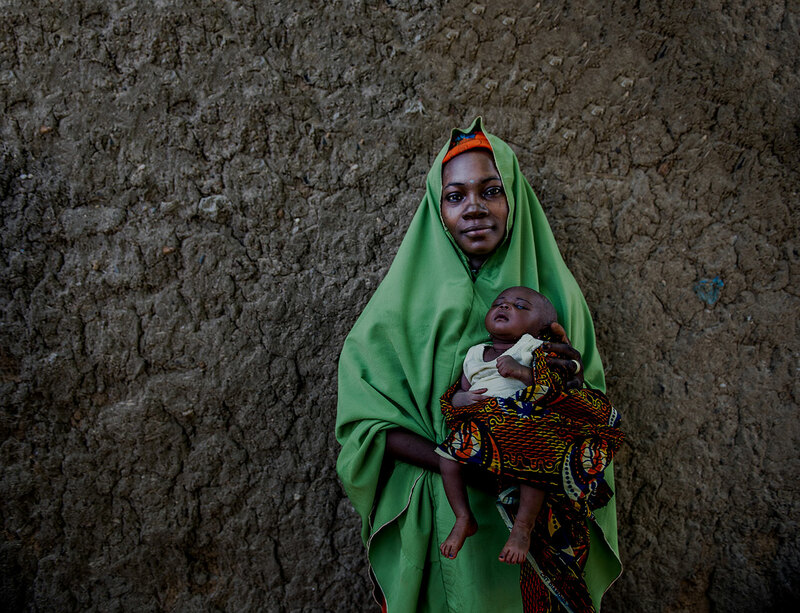 MCSP in Nigeria aims to improve maternal, newborn and child health (MNCH) outcomes in Nigeria by increasing access to quality life-saving interventions. 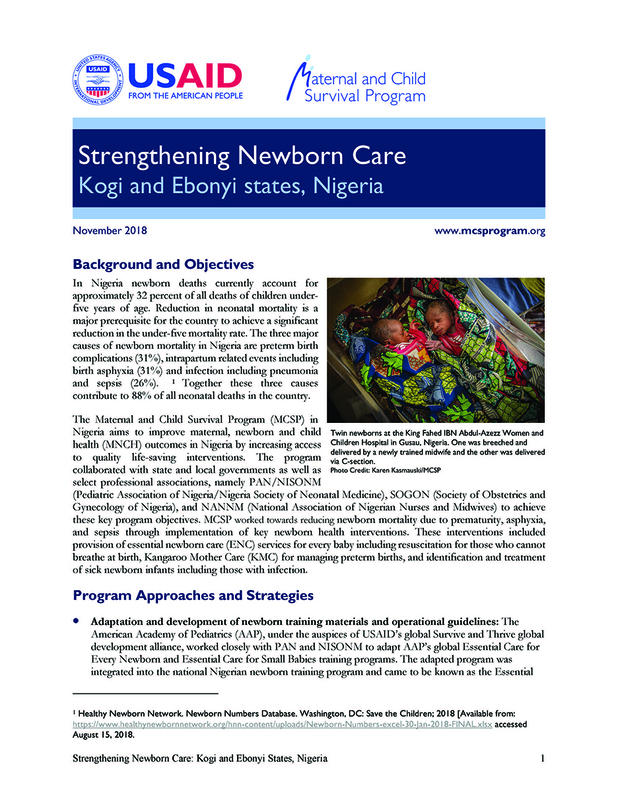 The program collaborated with state and local governments as well as select professional associations, namely PAN/NISONM (Pediatric Association of Nigeria/Nigeria Society of Neonatal Medicine), SOGON (Society of Obstetrics and Gynecology of Nigeria), and NANNM (National Association of Nigerian Nurses and Midwives) to achieve these key program objectives. MCSP worked towards reducing newborn mortality due to prematurity, asphyxia, and sepsis through implementation of key newborn health interventions. These interventions included provision of essential newborn care (ENC) services for every baby including resuscitation for those who cannot breathe at birth, Kangaroo Mother Care (KMC) for managing preterm births, and identification and treatment of sick newborn infants including those with infection.